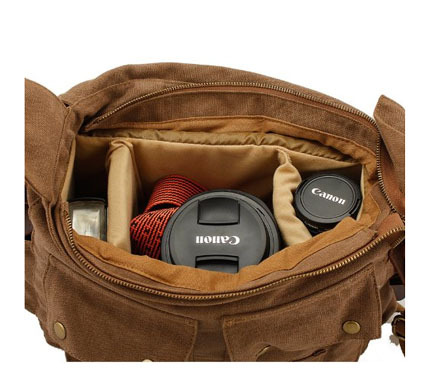 The subject of camera bags for men came up by accident as a subject to cover on the Canon Geek site. I was looking for a new waist level equipment bag and Google's auto-fill revealed it to me as a somewhat commonly searched for term. This surprised me. But then I put some thought into it. 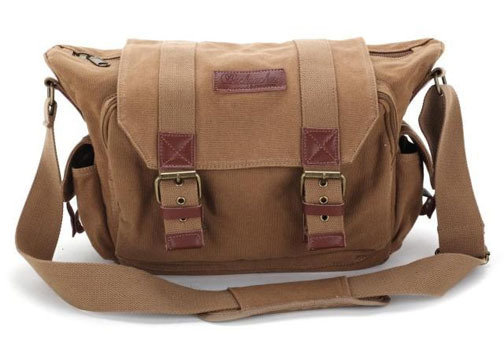 Who would be looking for a camera bag suitable for men only? I don't have any empirical data to support my contention that women are looking for men's camera bags, but it makes sense. As a camera geek I've always owned traditional camera bags, made for function, never a good-looking designer camera bag with form and function. 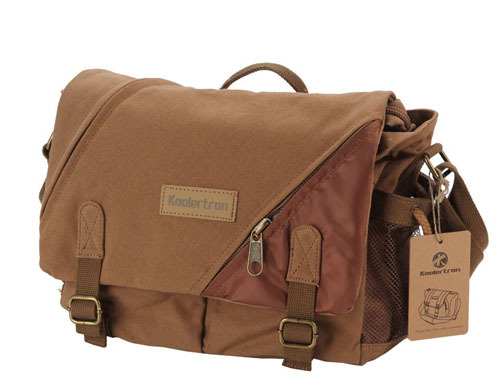 After all, would a guy type in "camera bags for men" if he were looking for a more masculine gadget bag. I think not. I then researched the term "camera bags for women" and found out that women's camera bag searches outnumber the men by about TWENTY TIMES. Is it sexist to say that women are the main shoppers when it comes to camera bags designed specifically for men and women? Anyway, on to the features of a good camera bag for the masculine segment of our population. 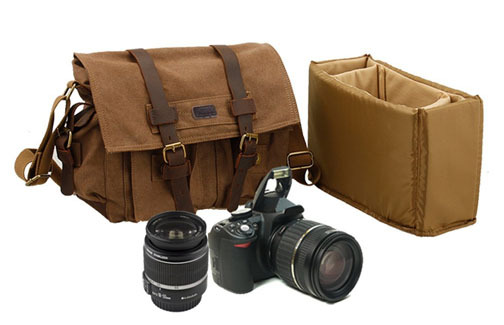 What makes a good camera bag just right for a man? I don't want to offend anyone, so consider these thoughts with a little tongue-in-cheek attitude. 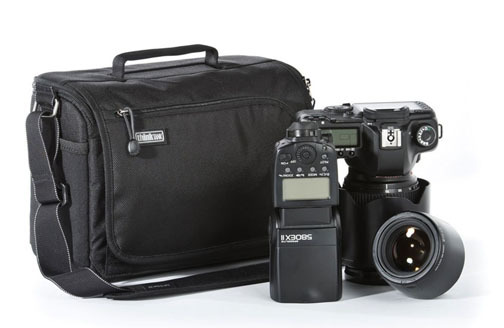 What should a gadget bag have to fit the needs and desires of your average male photographer? Size matters. If it's too small to hold your junk it aint manly enough. Seriously, if it's a wimpy size then it's no good for a man. 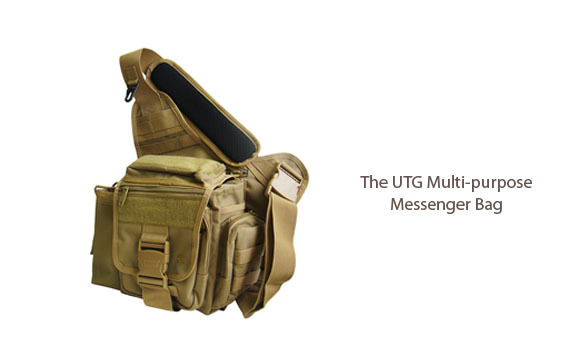 This UTG Multi-function bag isn't really designed to be for camera equipment, particularly if you are packing a big lens in your arsenal. It's a huge seller on Amazon and would work for you if you are only taking along a DSLR and a multi-purpose lens like the Canon 24-105. Pastels and flowers are out of the question, men. A few years back, there was a movement afloat that pink was cool for men. Not any more. 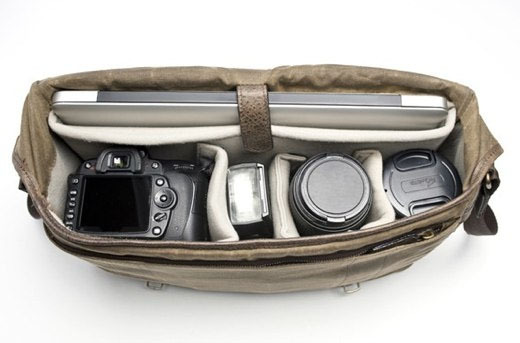 Black, grey, kahki, and brown are more macho for the colors for the male camera accessory bag. I bought a real small waist -level "Man's Camera Bag" a few years back, specifically just to hold a lens of my belt when shooting beach photos. It doubles now as a camera bag for my Canon G1X Mark II when I am dressed in my suit as a guest for an event like a wedding. My adult-aged kids tease me about wearing a man-purse, but it's small, it's black and matches my suit pants and jacket, and it functions perfectly. Don't tell anybody but I bought it at a local department store in the women's apparel section. If you are looking for a real designer type of camera bag, you'll get a lot more choices by shopping on-line. If you want a real good touch and feel it first type of experience before buying you may have to drive to the mall for a face to face encounter. No matter where you shop, you can get a good sampling fo the diverse styles, colors, sizes and shapes of camera bags for men on Amazon. Have a blast with your photography and with your camera bag shopping.